Mineral owners in North Dakota have filed law-suits against 10 oil and gas companies for royalties lost in the surge of natural gas flaring in the Bakken shale. As companies boost production without enough pipelines in place for transport, they are flaring excess gas and wasting royalties, according to mineral owners who filed their class-action lawsuits last week. The result is that North Dakota, over the Bakken shale oil fields, looks like a bonfire party, with at least 1,500 fires burning at any given time, flaring excess natural gas that can’t make it to the market. It’s cheaper to burn than to build pipelines to transport it. 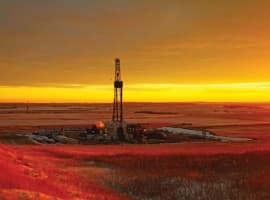 Related article: Is Canadian Shale Gas Worth $35 Billion? 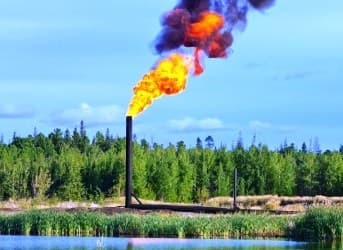 And the flaring trend is now on the upswing, tripling over the past two years to consume some 30% of gas produced in North Dakota and producing plenty of greenhouse gas emissions in the process. Now the state’s mineral owners are fighting back with a class-action lawsuit targeting 10 companies, including top Bakken players such as Continental Resources, XTO Energy, SM Energy and Marathon Oil. According to the mineral owners, the state is losing around $100 million every month in royalties due to natural gas flaring. Property owners leasing their land to these companies want compensation. 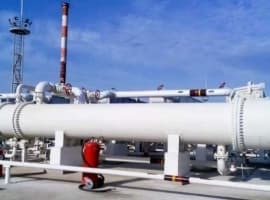 What could protect the companies from the legal wrath of these mineral owners is a regulation that allows them exemptions for flaring is they connect their wells to gas-gathering lines. However, the plaintiffs claim that the companies are dragging their feet on building pipelines and have violated deadlines. Also in the companies’ favor is the fact that while these landowners are losing gas royalties because of flaring, the sharp rise in oil production is earning them greater royalties—making up for the imbalance. Since May this year, oil production in Bakken has risen by 100,000 barrels per day. 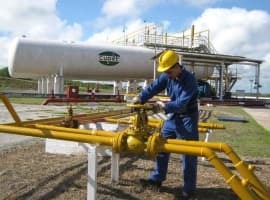 Is Canadian Shale Gas Worth $35 Billion? I knew this was coming. What a waste. If I were a land owner I'd be irate too. It is a huge waste of time and effort. I would agree with the lawyers that the best way to compensate for the loss is to comply with the state law and pay royalties to the owners on the value, and stop doing it. The flaring in this region can be seen from space and is brighter than Chicago.